The story is not entirely clear but the sidercar is thought to have been created at Harry's New York Bar in Paris at the end of WWI. As the story goes, an American army captain would arrive regularly at the bar in the sidecar of his friend's motorcycle. Desiring a warming cocktail before dinner, the bartender suggested cognac, but the captain thought it alone was a bit inappropriate for a pre-dinner drink. Cointreau and lemon juice were mixed in and there you have the birth of the Sidecar. For an especially delicious Sidecar at home, Justin suggests using Marie Duffau Napoleon Armagnac as the base. This Gascon brandy is aged for a minimum of six years. It is rich and full-bodied with flavors of vanilla and cocoa, creating a nice balance with the lighter citrus flavors of a Sidecar and perfect for this "in between" New England season we call early spring." Coat the rim of a room temperature glass with sugar and set aside. 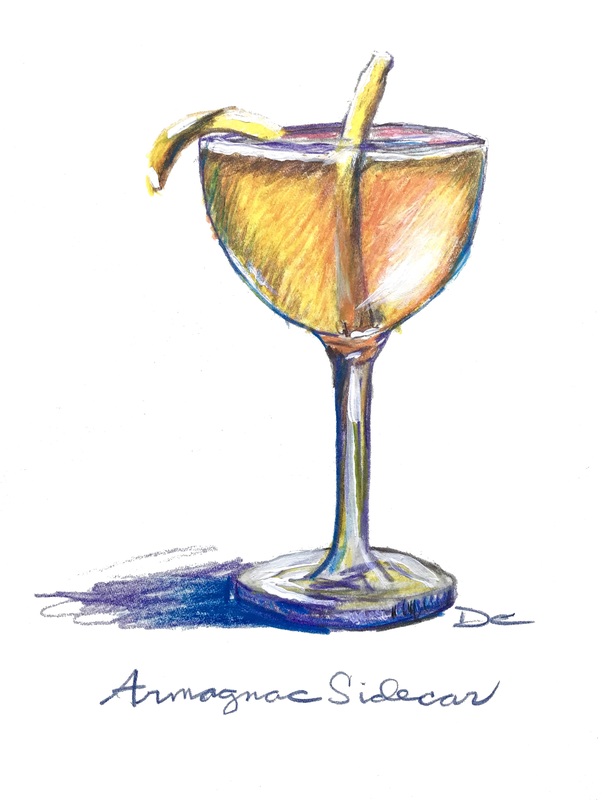 In a cocktail shaker, combine Armagnac, Cointreau, and lemon juice. Add ice and shake vigorously until well-chilled, about 30 seconds. Strain into prepared cocktail glass and enjoy.